The successful defense of a Monroe County criminal charge is best accomplished with the help of an aggressive, experienced and competent Michigan criminal defense attorney who know how to work within the Monroe County Court system. If you are being investigated, have been charged or arrested, or are being prosecuted in Monroe, Michigan, you owe it to yourself to contact the experienced criminal defense team at The Kronzek Firm PLC. You can contact us online, or call (866) 766-5245 for immediate assistance. Our criminal defense team has attorneys on call 24/7 to help you with your immediate needs. The Kronzek Firm PLC trial lawyers provide aggressive Monroe County criminal defense to our clients. We are ready to defend individuals who have been charged with all serious crimes in Monroe County. We practice in both state and federal courts. We serve the communities of Monroe, Ida, Milan, Dundee, Petersburg and others in Michigan. We understand how difficult it can be to be facing criminal charges. If you have been arrested, charged, or are concerned that you will be charged, call us any time, day or night. The sooner you contact us, the sooner we can start working to protect and defend your rights. 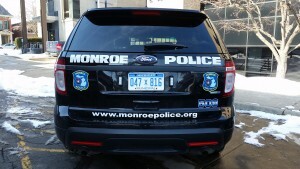 Our Monroe criminal defense team is knowledgeable about Monroe County courts. We will use our knowledge to help protect your rights throughout this difficult time. Defendants in a criminal case are often upset at the treatment they receive by the police, the prosecutors and the judges. A good Michigan criminal defense attorney can make a huge difference in a Monroe County Case. Our firm works with client facing serious crimes on a daily basis. We know how to handle complex cases like Racketeering, Drug Conspiracy, Child Abuse, Home invasion and Child accusation CSC cases. We work closely with our clients, and their families. Parents in juvenile cases are especially concerned that they get the most help possible for their teenage son or daughter. The best advice we can give parents is to get us involved early. We share your concern for your child and will partner with you in the endeavor to find a solution that keeps the doors to your child’s future open. Adult defendants need the same level of attention to detail and dedicated effort. We strive to treat every client with respect and dignity. We will work closely with you and defend you aggressively. If you have a pending case in Monroe County, don’t leave your fate to chance. The The The Kronzek Firm team can help! Contact us today (866)7NO-jail. Hon. John A. Hohman, Jr.